I was born in Hove in East Sussex, the third child of William and Betty. 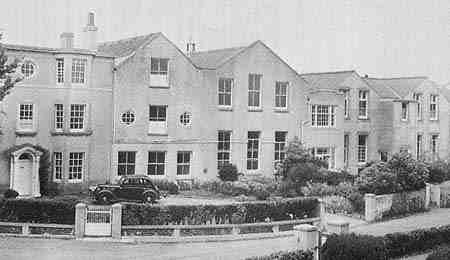 My parents ran a seaside hotel in Brighton called the Claremont. 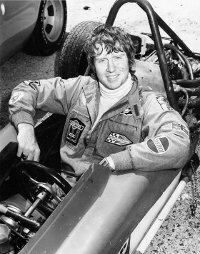 Following a meeting with Graham Hill, who’s father was a guest at the hotel, I became fuelled by a determination to join that world and become a racing driver. At the age of seven, I was sent off to Shoreham Grammar, a boarding school where, being dyslexic, I was beaten black and blue most days by my teachers, who were of the opinion that corporal punishment, was the best method of eradicating my affliction. Needless to say, I hated school and quickly learnt a distrust of authority, and having auburn hair didn’t help, making me an instant target for bullies. I was considered a dreamer by my teachers, who throughout my school years commonly cursed me with the phrases like: “You’ll never amount to anything…” the curse, mixed with frequent bullying and pain inflicted by my teachers has held me in good stead throughout my life… It instilled a strong strength of mind, a drive to prove myself and an instinctive mistrust of authority… I’ll never accept bullying from anyone, especially those in power… I will always fight back! In the US, back in the early 1980s, the IMSA Sports Car Championship that I’d competed in had been hit with a drugs scandal. A top driver, John Paul Junior, had been sent to prison for several years as a result of an investigation and his father sentenced to 25 years after pleading guilty to importing marijuana and tax evasion. But that was in the US. Did the British police consider the UK racing scene to be funded by drugs or some sort of illegal activity? Was that why I’d been raided with such force? 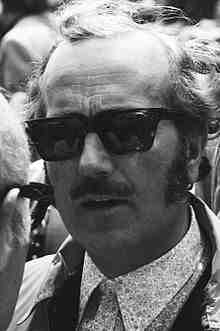 One prominent court case involving a UK racing team was a little matter concerning Lotus founder Colin Chapman, American John Delorean, a gentleman by the name of Fred Bushell and the British government. Basically, De Lorean agreed to pay Lotus US$15m to develop a car. 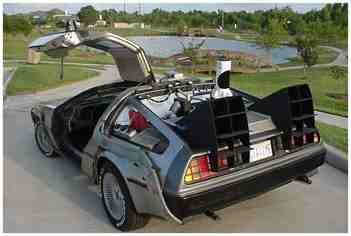 You may know the one, the DeLorean DMC-12, which later featured in the 1985 film Back to the Future. Well, somewhere along the line, a large amount of government cash disappeared. Delorean fled, Chapman died and Bushell was arrested and found guilty of receiving a big pile of the missing money. The judge commented that if Chapman and De Lorean had been present they would have each received 10 year sentence for fraud. Another man to be sent to prison with a link to motor racing was British businessman Ted Ball whose company, Landhurst Leasings, crashed with US$75m missing. It later evolved that Ball had been funding both the Brabham and Lotus F1 teams during the early 90s and he and his partner were accused of doctoring the books of Landhurst Leasings. He was sentenced to three years in prison after admitting to defrauding banks of millions. From a promising racer in Formula Junior, then F1’s training ground, came Roy “The Weasel” James, who like many young and aspiring racers, was struggling to find sponsorship…. James decided to use his skills and tackle the problem head-on by taking up some part-time work… as a getaway driver for the Great Train Robbery! 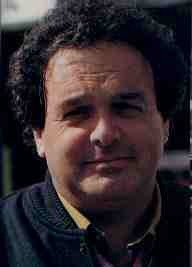 Then there was Doug Wood, a former racing driver and team owner, arrested at helm of his cocaine packed yacht, Ronin. The boat had been tracked to the UK after being sailed into Trinidad and loaded with 91kg of cocaine, valued at around ten million pounds. This type of activity and more, sensationalised by the British media, didn’t help the sports image. Articles thin on detail, designed only for impact to sell newspapers, reflected a picture of a sport mired in corruption. At precisely that moment yet another case was hitting the headlines, an investigation and trial involving a man by the name of Vic Lee… Had his case somehow, unwittingly influenced the police and the justice system who were at that very moment looking into my situation? In essence, had “the system” been prejudiced by the unconnected events of recent years?